omplicated structures, tight timelines, last-minute changes. Casino engineering is indeed “Extreme Engineering,” as highlighted in an episode of a Discovery Channel show with that name. As engineers who have worked on gaming facilities point out, these projects are more like small cities than individual buildings. And some thrive on the work. NSPE member Anthony Caucci, P.E., president of Atlantic City-based mechanical, electrical, plumbing firm Concord Atlantic Engineers, explains that casino engineering “tends to be aggressive and fast-paced…high stress but also high profile.” It is a specialized niche, he says, and one he enjoys. Casino work is no longer centered just in Atlantic City or Las Vegas. In fact, these traditional areas experienced slowdowns during the recession and are just starting to recover. Things have stabilized somewhat, and Lochsa is now back up to normal hours and salaries, with 50 employees. But competition has increased with national and international firms coming to town, and profit margins are down. “We’re making money, but not like we used to,” Hedge says. Some projects that ran out of money still stand unfinished, he explains. And parcels of land intended for projects remain vacant. “Maybe a bit like me, [companies] are not as confident in the economy as they would like to be before they start designing and building projects,” the Lochsa principal says. In the US, Native American tribal gaming continues to increase. Lochsa has done work on such properties in the West and Southwest. And the legalization of gaming in additional states has also increased competition for traditional venues. For example, a 2012 referendum in Maryland legalized table games at state casinos and the addition of a new facility. That is the MGM National Harbor, a $1.3 billion resort slated to open in 2016 just south of Washington, DC. In addition to the casino, the LEED gold facilities will include a hotel, spa, retail spaces, and a multipurpose entertainment venue. One of the primary challenges with casino engineering is the timeline. “Sometimes everything is hinging on [the facility] being open by a certain date,” says Caucci. Anytime an owner or gaming company commits several hundred million—or even a few billion—dollars for a project, the speed to market becomes critical, explains Dave Melroy, P.E., president of MSA Engineering Consultants, which has locations in Las Vegas and Reno. The company has done gaming work since the 1980s, including the electrical engineering for The Venetian Las Vegas. “Being able to deliver a project of several million square feet in multiple phases is a major cause of project managers and design engineers [experiencing] sleep loss,” he says. “Everyone wants it yesterday,” Hedge notes, calling the time to design, permit, and construct projects his biggest issue. “We can design just about anything and make it stand up and operate efficiently, but it’s the timeframes imposed by developers that can become a challenge.” There not only has to be time to design the project but also time built in for owners to change their minds about the designs, he adds. Tom Miller, P.E., of Las Vegas, has worked on numerous gaming projects. The NSPE member explains that casino executives often made on-the-fly changes at the last minute. For instance, he performed civil engineering work for The Palazzo, and his team had to shift the driveway “something like 18 inches” weeks before opening during the Christmas season. Over two years, there were about 22 change orders that were owner-driven, he says. Some related to aesthetics and some were to accommodate retail tenants leasing space. Other changes were due to the lack of good records in Las Vegas from the pre-1980s. Miller recalls finding a large concrete vault that didn’t exist on any plans, and in another case water was shut off to an entire tower of hotel guests because of an incorrectly marked valve. Labor shortages affecting general contractors in Las Vegas are another obstacle to meeting tight timeframes, according to Hedge. Many tradespeople left town during the recession to find jobs, he explains. That can lead to not only a drop in construction quality but also require more hand holding, as it’s tough to find field supervisors. THE MGM NATIONAL HARBOR RESORT IS SET ON A PEDESTAL, EVOKING A MONUMENT AND INCORPORATING A SEVEN-STORY PARKING GARAGE. A SKYLIGHT RUNS THE LENGTH OF THE ROOF BETWEEN THE OUTDOOR TERRACE AND HOTEL TOWER. The sheer number of moving parts is also a complicating factor in casino projects. Just as in a city, different types of infrastructure must be brought in, explains Hedge. “Power, water, sewer service, natural gas, communications, Internet.” Traffic and circulation is also a big factor. Lochsa completes traffic studies to minimize the impact of the structures on adjacent streets and highway interchanges. Hanlon explains there are about 2,000 people involved in building the MGM National Harbor, between the construction teams, designers, and project managers. That includes more than 46 different A&E design firms. The project comprises a complicated and intelligent set of integrated facilities. Hanlon says, “I tell people to think of it as a data center sitting on top of a parking garage,” because everything is connected to a digital monitoring or control device. For example, all the gaming machines will be interconnected through fiber optics. There will be over 2,000 cameras in the building monitoring the operations. Even the beverage system is intelligent: A centralized delivery system for the dozen different food service or bar venues will pump drinks throughout the building and keep track of usage. THE FONTAINEBLEAU RESORT IN LAS VEGAS IS AN EXAMPLE OF A PROJECT THAT WENT BANKRUPT AND STANDS UNCOMPLETED. All of that infrastructure has to be managed through networks, typically fiber optic-based networks with large bandwidth requirements, Hanlon says. An added challenge is that unlike other buildings, casinos never shut down. The new MGM facility will be operating 24 hours a day, seven days a week, 365 days a year. So that requires redundancy in the systems. The entire building is designed to operate independently off the electric grid if needed. With so many elements to coordinate, “the key is good communication, good processes and procedures, and good integrated systems and tools supporting the work,” Hanlon says. “There are a lot of people involved with the design and construction that have to align themselves with the production and document control tools we are using to manage the project,” he explains. That includes building information modeling (BIM), budgeting, accounting, scheduling, and document management systems. Hanlon says the project has several thousand drawings, thousands of pages of specifications. These all have to be tracked, updated, and maintained as the project progresses from design through construction and commissioning into operations. And coordination of the BIM model is “critically important and a major challenge,” Hanlon notes. “All the routing of the ducts and pipes and conduits are modeled in the system so they don’t clash or hit each other. So when the contractors install the various systems, they have to follow a meticulously engineered methodology for detailing the installation of the [HVAC, plumbing, electrical, or telecommunications systems] supporting the operations of the building.” Adhering to that and making sure as-built drawings are accurate is key, the PE explains, so correct information is turned over to the owner and can be used for operations. Everything has to be meticulously planned and coordinated in part because of the high-end finishes. “We don’t want to be tearing out finished work and then having to redo that work again,” Hanlon says. Caucci also points to the importance of the engineers working with the interior designers so their work doesn’t conflict. 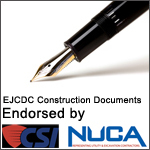 Within a project, just some of the different disciplines that must be coordinated among the design team and the owner’s operations team, according to Caucci, include interiors, architecture, food service, vertical transportation, site/civil, structural, specialty lighting, low voltage data systems, and security surveillance systems. Adding even more complexity, teams may be located in different parts of the country. Miller says on The Palazzo project, the architect and structural engineer were in Dallas, the plumbing and mechanical engineers were in Boston, and the electrical and civil engineers were in Las Vegas. The owner would assemble everyone for in-person meetings every two weeks to coordinate. See more renderings and a 360-degree video animation of the MGM National Harbor project at http://bit.ly/1hoKJVY. CAUCCI’S COMPANY, CONCORD ATLANTIC ENGINEERS, DID THE MEP DESIGN FOR THE HOLLYWOOD CASINO IN BANGOR, MAINE.